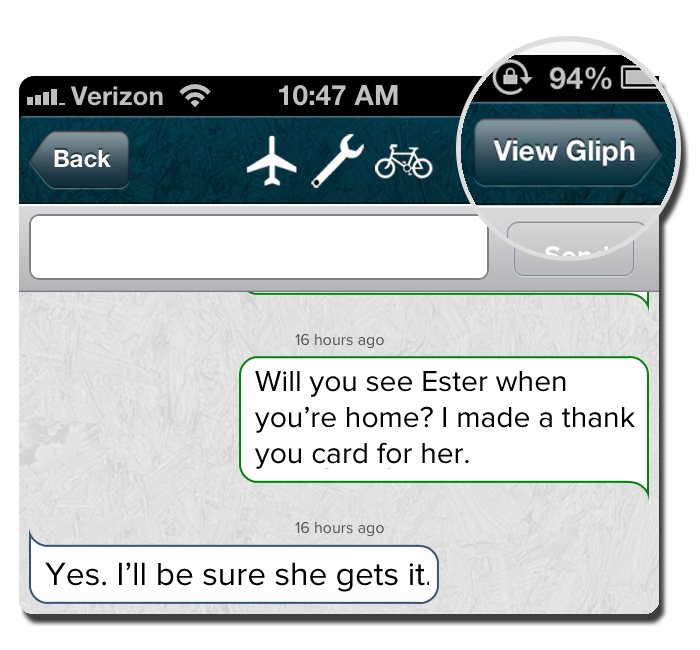 We’re happy to announce the release of version 1.2.1 of the Gliph app for iPhone. You can download the new version from the the App Store today. Previously, you had to go to the Connections tab and then find the contact and then tap on it to see the Gliph View. Tapping View Gliph makes this much more convenient. You probably remember that Gliph protects your personal information (Facets) much more carefully than most companies. Besides keeping both your data and your contacts’ data safe, we also want to make it useful. This entry was posted in Gliph iPhone App, User Experience on June 26, 2012 by rob. We just got a copy of the Gliph’s award-winning presentation from the Pii2012 conference up on YouTube. The two features introduced in this video are now available to the public with the release of version 1.2 of the Gliph iPhone app. You can download the Gliph iPhone app here. And the Gliph Android App here. This entry was posted in Privacy, Public Events, Video on June 6, 2012 by rob.